Iceland's Ring Road is the best way to see many of the country's most spectacular landmarks. There’s a tiny country in the middle of the ocean that’s unlike anywhere else in the world. Iceland, although small, has managed to captivate visitors with its eerie landscapes and small town charm. Home to descendants of the Vikings and mythological creatures, Iceland is a strange and fascinating place. With the abundance of cheap flight deals from the US and other countries, Iceland is a lovely place to explore. Do you want to see Iceland without the craze of tourists? Hop in a car and drive the Ring Road. As Iceland’s central highway, the Ring Road extends through volcanic areas, glacier lagoons, beaches, and mountains. When I drove it, I’d be in a blizzard one minute and through a sunny beach the next. With its temperamental weather, its rugged desolation, and its unique landscapes, there’s no better way to travel in Iceland than by driving around the Ring Road.. The beauty of Iceland’s Ring Road is that there are endless landmarks to see, and several guesthouses and small towns to spend the night in along the way. In this guide, I’ve outlined the 10-day itinerary that I took around the Ring Road. You can modify it as needed for your own preferences and timeline! When you land in Iceland’s airport, you’ll actually land in Keflavik, which is about an hour outside of Reykjavík. Once you get your rental car, go for a dip in the Blue Lagoon (€50), which is just 20 minutes from the airport. Although it gets crowded, it is worth it for the relaxation and the unique milky blue water. If you snag the first time slot in the morning, you may even get the place to yourself for a few minutes. After spending the morning at the Blue Lagoon, head to Reykjavik and spend a day in the city. There are plenty of things to do in Reykjavik for the day: you can go for a hike nearby, take a short day trip, or simply hang around in the city. There’s plenty to do inside of Reykjavík, including a visit to the Harpa concert hall, walking around the city center, or tasting a brennivinn and some pungent hákkarl at a nearby pub. Be sure to taste one of the best hot dogs in the world at Baejarins Beztu Pylsur hot dog stand. Wake up early and get ready for a long day of driving! One of the staples of a trip to Iceland is the Golden Circle, which has some beautiful sights, including a geyser, a waterfall, and a national park. However, it is extremely touristy and, in my opinion, not as great as some of the other sights later in the trip. My recommendation is to hit these sights – Geysir, Gulfoss, and Þingvellir National Park – quickly, and then move on to your journey around the Ring Road. Once you’ve explored the Golden Circle, stop for tomato soup at Friðheimar then drive towards Seljalandsfoss. This is the second waterfall you’ll see today, but you can get more up-close and person with this one by walking behind the falls. If you decide to do this, don’t forget a good rain jacket! Around midnight in the summer, the waterfall turns vibrant yellow and orange in the reflection of the sunlight. Next door to Seljalandsfoss is another hidden waterfall worth a visit as well. The drive from Seljalandsfoss isn’t long, but there’s a lot to do in between. In the morning, head to Skógafoss, another waterfall around the corner from Seljalandsfoss. Here you can hike up the right side of the waterfall for a bird’s eye view, or get close enough to feel the chilly spray at the bottom. There are a few restaurants in Skógafoss, so be sure to grab food here while you’re around. Once you’ve gotten your waterfall fix, drive to Seljavallalaug, where you can take a dip in this picturesque mountain hot spring. Unlike the Blue Lagoon, this secluded pool is surrounded by mountains and is completely free to use. Be sure to get there early to avoid the crowds! There are also a few areas past the pool where you can hike and explore the surrounding landscape. Next, you can head to the famous plane crash in Sólheimasandur. The plane was an American military craft that crashed onto this volcanic beach in 1973. No one died in the crash, but the plane’s shell remains abandoned in the black sands. It takes a while to walk there (~2 hours or more, round trip from the road), but it’s a destination that showcases the Iceland’s fascinating beauty and desolation. If you’re feeling adventurous, or have some extra time, pay a visit to Sólheimajökull glacier. This glacier is a magnificent sight, but also a close up look into the effects of climate change. Here you can hike around or even register for a glacier walk tour. Don’t forget your crampons! In the late afternoon, head to Reynisfjara and Vík beaches to see some towering basalt columns, black sand, and stunning volcanic rock formations. You can go for a walk around these areas or drive to one of the nearby cliffs for a spectacular view of Eyjafjallajökull volcano and the ocean below. In my opinion, Day 4 showcases some of Iceland’s prettiest locations. First, you’ll head to Fjaðrárgljúfur Canyon for one of the most beautiful and picturesque scenes in Southern Iceland. This dramatic landscape was formed by glaciers thousands of years ago, which left behind a stark canyon which is now covered in green moss. It looks like something out of a storybook. If you’re there a bit later in the year, it’s worth a trip to the Vatnajökull Ice Caves, one of Iceland’s marvelous natural spectacles. You can take a guided tour through these stunning natural ice tunnels. These tours can be booked through Guide to Iceland and run about ISK 21,000. Next, you’ll make your way to Jökulsárlón, the glacier lagoon you’ve probably seen in photographs. You can take a boat tour around the lagoon for ISK 5,500, where you’ll have the chance to eat ice from 1,000 years ago. Taking this boat ride enables you to get “up close and personal” with the icebergs, which were once pieces of mighty glaciers. After your afternoon adventure around Jökulsárlón, head to Svartifoss, one of Iceland’s most beautiful waterfalls. This one is a thinner stream surrounded by incredible basalt formations, much like the ones you saw earlier in Reynisfjara. Hang out here and enjoy a snack on the nearby rocks, or walk around to capture some different angles of this amazing natural landmark. At the end of the day, treat yourself to some langoustine dishes in Höfn, your final destination for the night. You can watch the sunset from the docks and enjoy this local crustacean specialty. A hybrid between a lobster and a crawfish, the langoustine is caught fresh off the shore of Höfn. If cooked well and served with lemon butter, it is very soft and delicious. If a lopapeysa (Icelandic wool sweater) is something you’re looking to buy, my favorite lopapeysa shop in Iceland is located in Höfn. I found a beautiful Icelandic sweater the same colors as the landscape around me, and I’ve kept it with me since my trip. These sweaters are expensive, but they last forever and they sure are beautiful. Spend the night in Höfn, either in a campsite or in a local guesthouse. This is an intentionally shorter day of driving so that you can relax for a bit. Wake up a little later, take your time on the road, and make your way to Seyðisfjörður. If you’ve ever seen The Secret Life of Walter Mitty, get ready to drive down the same windy road as his famous longboarding scene. This road is on the way to Seyðisfjörður, on the descent from the mountaintop you have to cross to get there. Although this is one of the most scenic roads you’ll take on your entire ride, don’t get distracted! It’s a pretty dangerous stretch of road with sharp switchbacks and no guardrails. In my opinion, Seyðisfjörður is one of Iceland’s cutest towns. It’s a port for ships to mainland Europe, so there are a few cute cafes and streets with colored homes to hang out in. I especially liked the Skaftafell Bistro as a casual dinner and hangout spot. Spend the rest of your evening roaming around this charming little city and savoring the fresh air of Iceland’s eastern coast. You might be wondering why you got a “take it easy” day yesterday…and it’s because you have a long and exciting day ahead of you! First, head to Borgarfjörður Eystri to see some of Iceland’s most beloved wildlife – puffins. This is a pretty long drive, but it leads you to a cute harbor town and a viewpoint to get up close and personal with the puffins. Myvatn is a giant playground. Check out Viti, a large crater and hiking trail in the Myvatn area, and Dimmuborgir lava fields. There’s also Namafjall, a geothermal hotspot where the ground is literally smoking under your feet. In addition, there are many wonderful hiking trails and caves to explore around the region. A lovely way to see many parts of this beautiful area is by horseback tour, which are offered all around the lake. To wrap up your day, spend the evening soaking up the geothermal waters at the Myvatn Nature Baths. These are beautiful hot springs in a rock pool that tend to be much less crowded than the Blue Lagoon, They are definitely worth visiting to unwind from several days of driving. In the morning, head to Ásbyrgi Canyon, a perfectly carved horseshoe-shaped canyon north of Myvatn. Here, there are many hiking trails to enjoy. You’ll see people setting up camp — overnight backpacking is quite popular here. If you like the outdoors, you can spend most of your day at the canyon. If you’d rather be on the water, take the morning to hike around, then head to Húsavik. 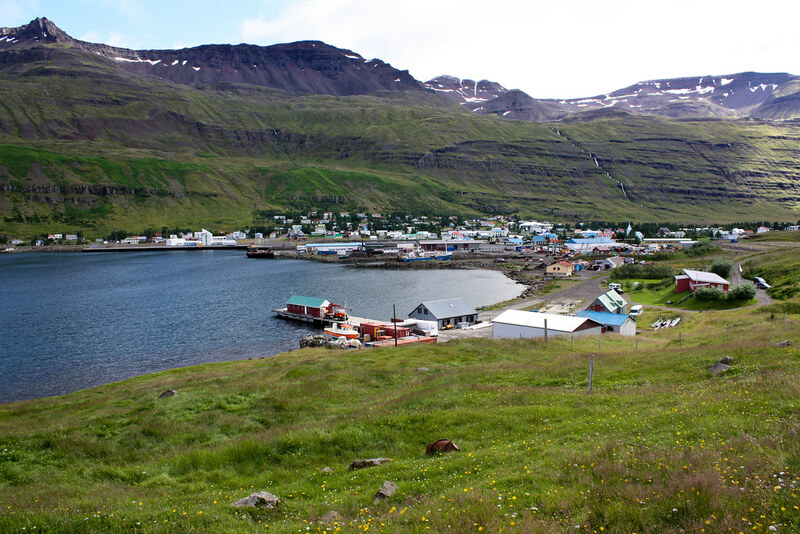 Next, stop by Húsavík to explore this seaside town. If you love wildlife, consider signing up for a whale watching tour. Húsavík is one of the most famous places in Iceland for this, and tour operators offering boat rides of varying lengths are everywhere here. 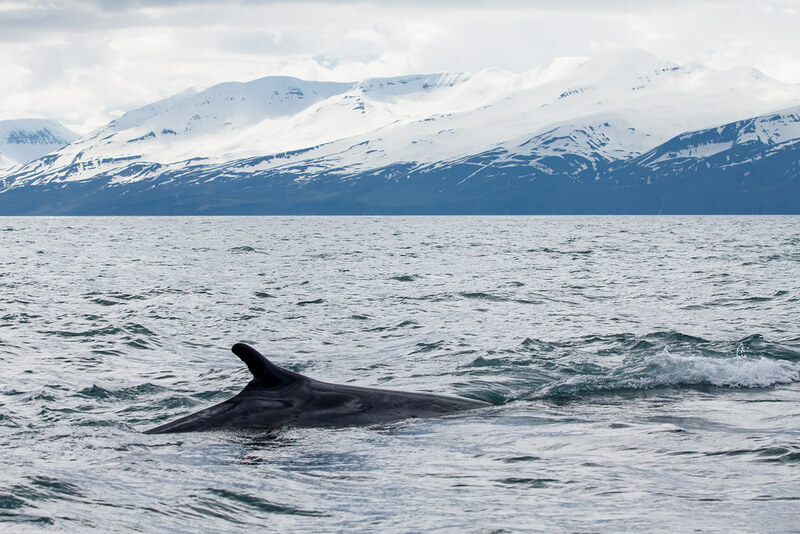 Whale watching excursions usually run ~ISK 10,500 per person. After Húsavík, head to Goðafoss, or “Waterfall of the Gods.” This incredible fall is one of Iceland’s most powerful, and also one of the most popular for tourists. In the main area by the parking lot, there are usually a bunch of photographers with their tripods all set up. However, you can explore around the area and take a walk to get a few different perspectives of this powerful cascade. Next, eat lunch in Akureyri, Iceland’s second largest city. Here you can find a pretty waterfront, a large central church, and a few cute alleyways to explore. Stop here for lunch and a quick coffee, or simply pass through on your way to your next overnight stop. Akureyri’s outskirts are hope to many pockets of lupine, which are worth a stop to see the beautiful purple flowers which dot the roadsides. Afterward, head to Hvammstangi, a lovely town where you can see seals on the coastline. There’s a seal museum at the Iceland Seal Center where you can learn more about these beautiful beasts. Spend the morning exploring some of the beach areas around Hvammstangi. These rocky beaches are wide and expansive, and if you’re lucky, you may even be able to spot some of Iceland’s seals off in the distance. The rest of the day is a driving day, which you can take at your own leisurely pace. The Icelandic countryside here is absolutely stunning, and despite the fact that there is not a lot to do, it’s a nice way to unwind from a few pretty intense days on the road. Once you arrive in Stykkisholmur, hike up the big rock to visit a pretty red lighthouse and get beautiful views of the town and the sea. There are a few ledges out here to stare off into the distance and reflect on your journey around Iceland. The town itself is quite charming, and is a nice, quiet place to walk around in the evening. Is it really the last day of this Ring Road itinerary? I thought we were just getting started… Luckily, we’ve saved the best for last, and you’ll be in for a real treat on Day 10. First, stop by Kirkjufell, one of Iceland’s most famous photography spots. This strange-shaped rock is named after a church steeple, and is surrounded by a few babbling streams and mini-waterfalls. Park nearby and take a walk around the area to try and catch some amazing views of this unique formation. Next, head towards the final stretch of your trip – the tip of the Snæfellsnes Peninsula. Snæfellsnes is one of the most stunning areas in all of Iceland. With vast stretches of nature, the volcanic shipwrecked beaches of Djúpalonssandur, as well as other amazing hiking trails, it’s a fantastic way to end your drive around the Ring Road. Finally, after exploring the peninsula and its beautiful nature areas, drive ~1.5 hours back to Reykjavik to end your road trip. 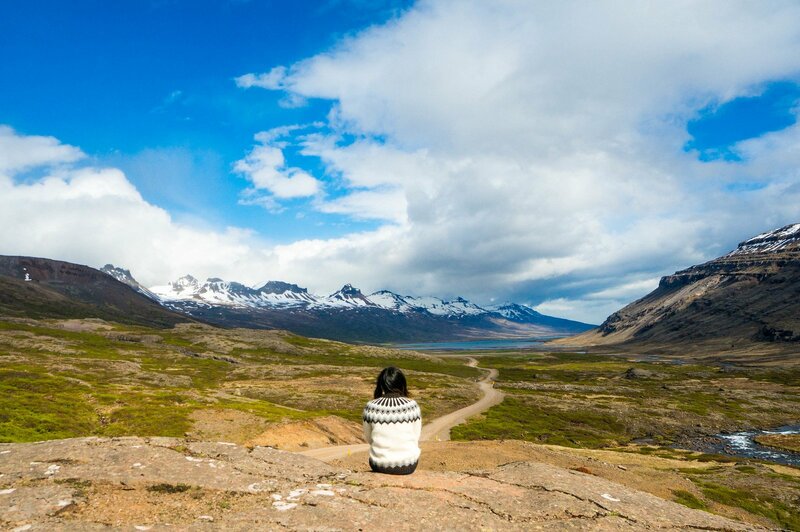 In order to do a road trip around Iceland, you’ll obviously need to rent a car. For most people, you won’t need to pay the premium for a 4WD rental. 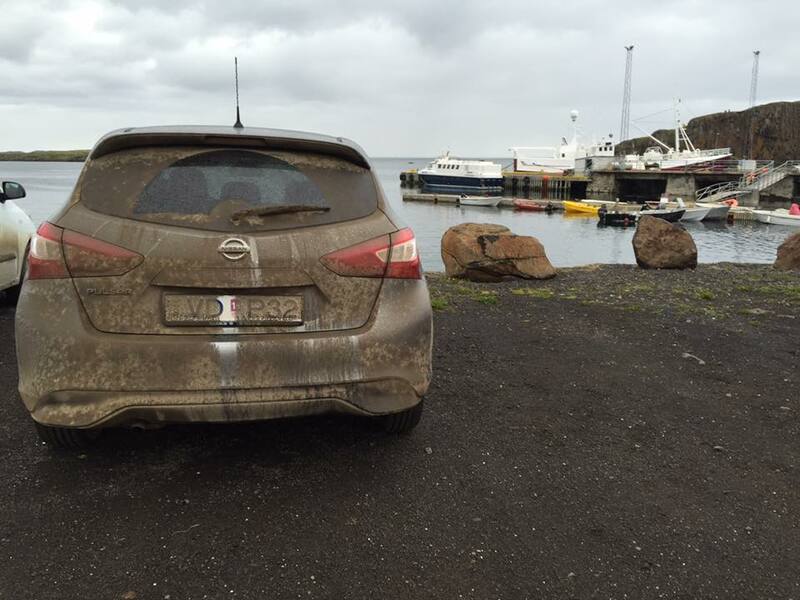 If you’re planning on visiting the Westfjords or the Highlands, you’ll need a 4-wheel drive. For all other Ring Road itineraries, you can rent a normal, non-4WD car. The cheapest prices are for manual transmission cars. Automatic cars are a bit more expensive. You can look online and find prices running from ISK 5,300 to ISK 8,500 per day. Most of the main car rental chains, including Sixt, Avis, and Hertz, have operations in Iceland. There are also a few local Icelandic car rental companies, like SADcars, that offer very competitive rates. I have used Sixt and Avis in the past and liked them, but would also compare car rental prices to make sure you get the best deal. If you’re interested in camping but don’t want to bear the cold nights in a tent, you can rent a camper van. These run from ISK 13,200 (EUR 105) to ISK 31,500 (EUR 250) per day and a few companies that do this are Happy Campers and Go Campers. Keep in mind that you’ll still have to pay a small fee at each campsite for the use of the facilities (more on this later). The best time to drive Iceland’s Ring Road is during the summer months, June-August. Some of the roads close during other times of year and are impossible for tourists to drive. If you are not planning on getting a 4WD car, plan your trip during the summer to ensure your safety. Another wonderful time of year (and less crowded) is during the spring and fall. Although there’s no midnight sun during this time, you do have the possibility of catching the northern lights on clear nights. The first is campsites – this is the most budget-friendly way to travel here. At ISK 1,000 to 1,500 per night, it’s a steal to camp outdoors compared to hotels or guesthouses. At most campsites, you have access to a parking space, a tent space, bathroom and shower amenities, and occasionally an indoor seating area. Some even have Wifi! Then, there are farmhouses and guesthouses. Located in most areas of Iceland’s Ring Road, these typically take phone-ahead or walk-in reservations and offer breakfast. Some of these also offer “sleeping bag accommodation,” which basically means that linens aren’t provided and you can use your own sleeping bag for a reduced rate. Hotels also exist around the Ring Road, though you should definitely book these in advance during the summer, as they are fewer and farther between. These typically run from ISK 25,000 and above. Lastly, Airbnb is becoming more and more popular in Iceland, and you can book via the normal site (you can save $40 off your first trip here!). If you’re looking for a few nights in more luxurious accommodations, check out the Hotel Rangá and the Ion Adventure Hotel along the way. I won’t sugar coat it – Iceland’s food is expensive. Most meals in restaurants run anywhere from ISK 2,000 to ISK 10,000. For travelers on a budget, your best best on the drive is to eat most of your meals in the small restaurants attached to gas stations. Otherwise, you can make your own sandwiches from grocery store purchases. Often, there aren’t many restaurants for long stretches of road, so be sure to stop when you see one. In terms of dishes to try, Iceland’s staple foods are hot dogs and lamb stew. You can find both of these dishes nearly everywhere that sells hot food items. The world-famous Icelandic delicacy is called hákkarl, which is fermented shark meat. It’s worth trying but I personally would never eat it again after trying it once. Pungent + ammonia aftertaste really isn’t my thing… but luckily, hákkarl is almost always served with a shot of brennivin to wash it down/take away the pain. Iceland is a very safe country, but nonetheless it’s important to stay alert at all times. The greatest danger you’ll face is the long hours of driving and potentially extreme weather. Be sure your car is prepared with the appropriate equipment for ice and snow, and that you remain very awake for the entirety of your drive. Because of the gravel roads and sandy areas, you may want to invest in sand and gravel insurance. Additionally, we purchase travel insurance every time we travel. We don’t believe in risking your life while traveling, and having a good insurance policy can help you stay safe and healthy in case of an emergency. For our travel insurance needs at Jetfarer, we use and recommend World Nomads. Iceland’s Ring Road is the trip of a lifetime. If you get the chance to take this incredible adventure, I highly recommend doing so. In your circumnavigation of the country, you’ll get to experience the delightful desolation of a country that has a fascinating story. This page may include affiliate links. Using these links to make a purchase supports Jetfarer at no additional cost to you. As always, we only partner with affiliates that we have tried and tested ourselves, and that we personally recommend. Sounds like an awesome trip! I would love to visit and Iceland and do a similar trip. As much as I’d love to see the northern lights I feel that there is so much more to Iceland than that, and your post really proves it!